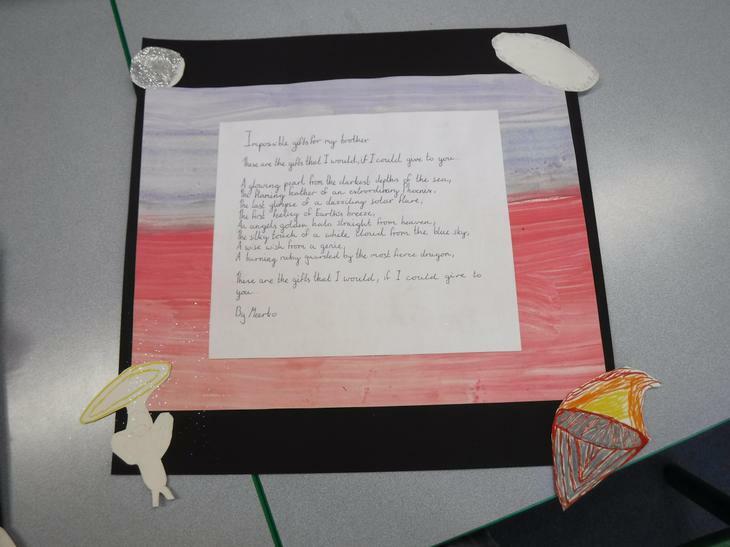 JAMES CARTER, A PERFORMANCE POET AND WRITER CAME IN FOR A THREE DAY RESIDENCY THIS WEEK. 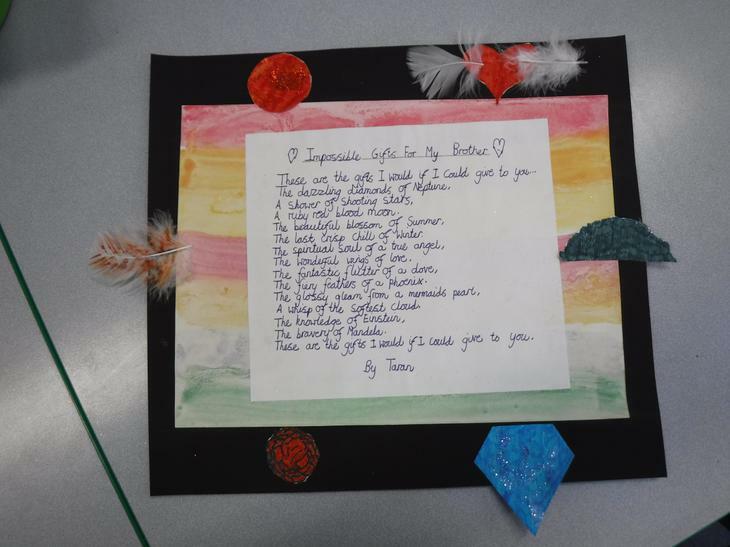 IT STARTED OFF WITH AN ASSEMBLY ON MONDAY AND CARRIED ON THROUGHOUT THE WEEK WITH WORKSHOPS IN EACH CLASSROOM AND YEAR GROUP. 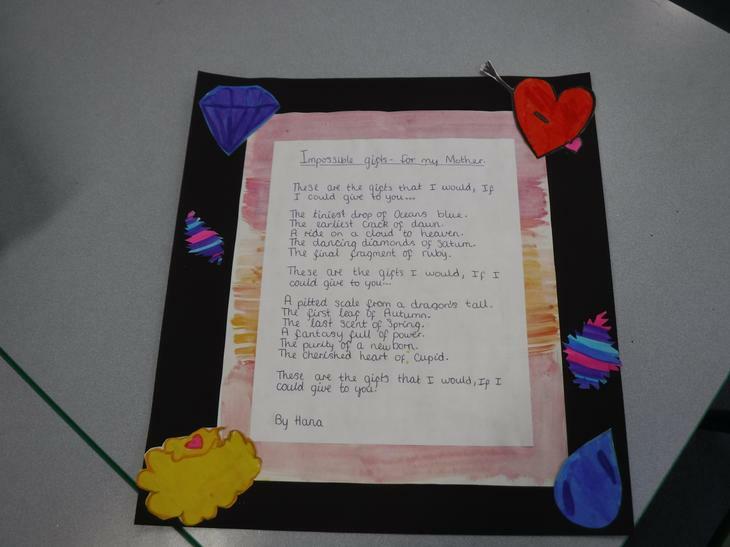 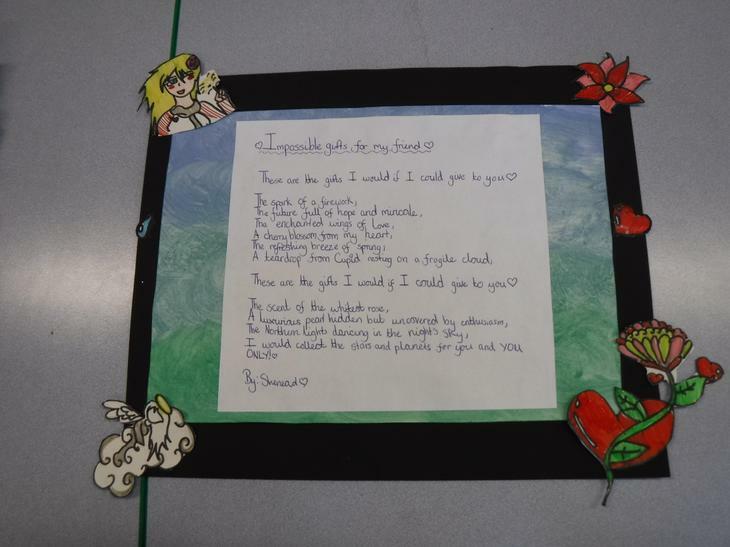 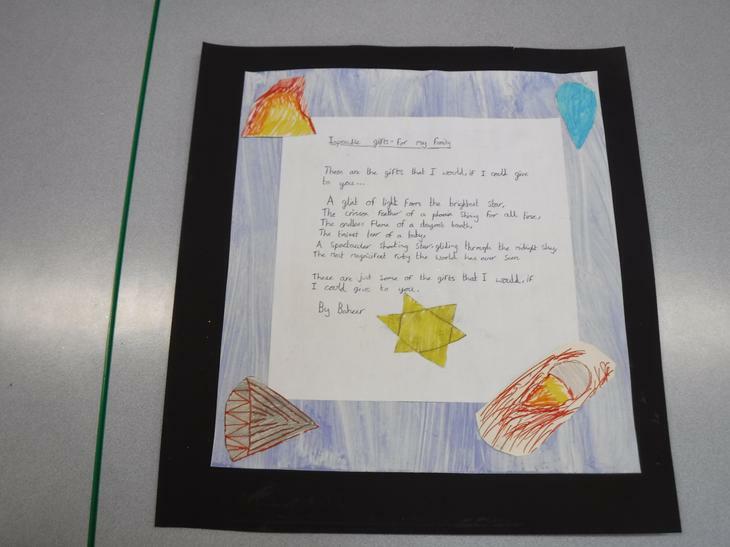 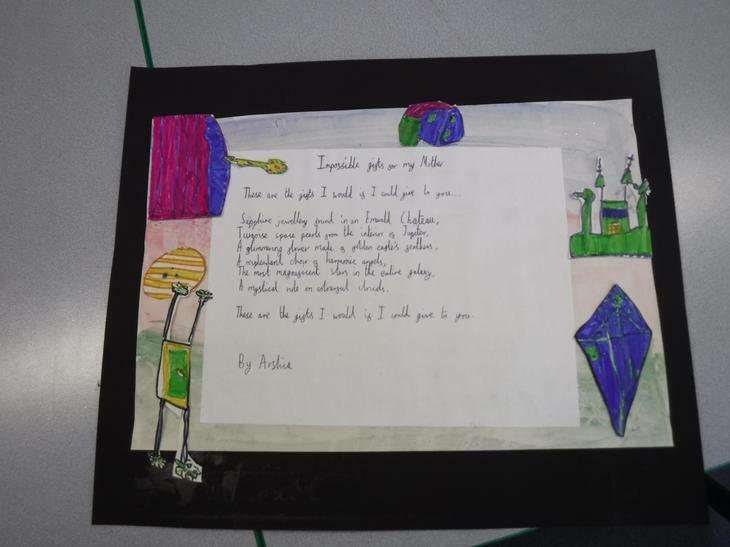 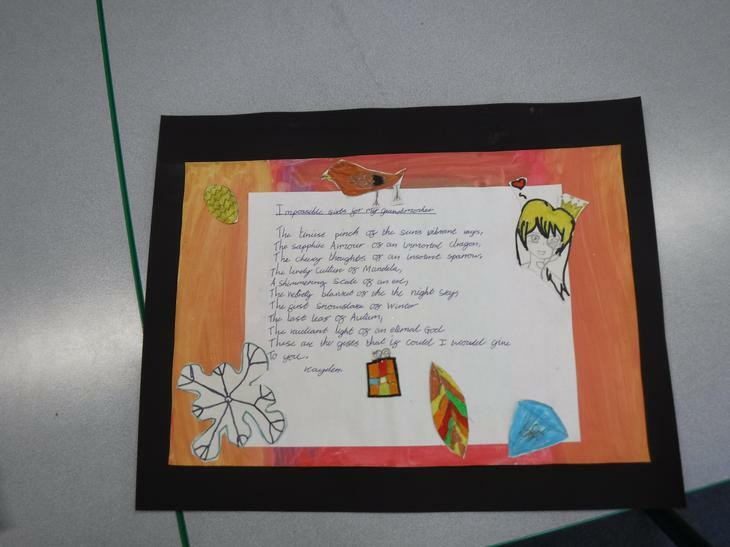 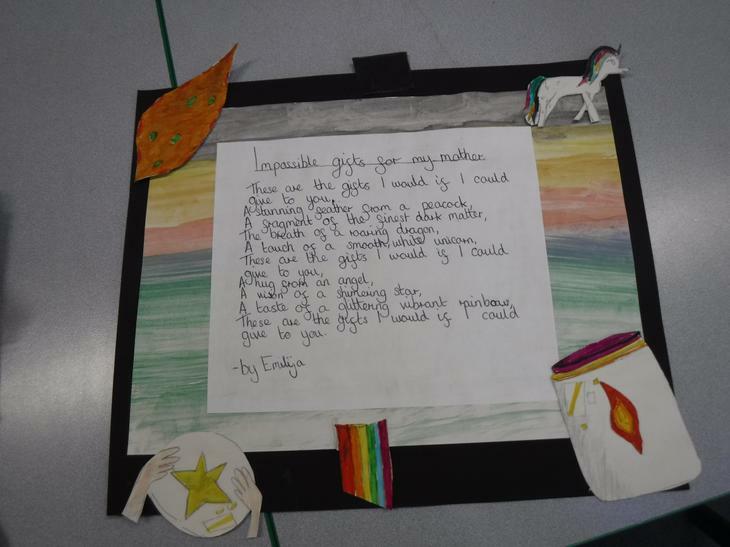 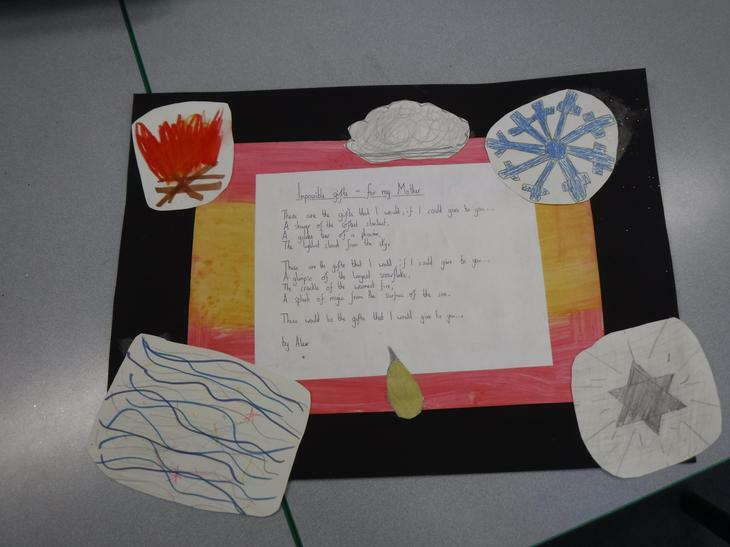 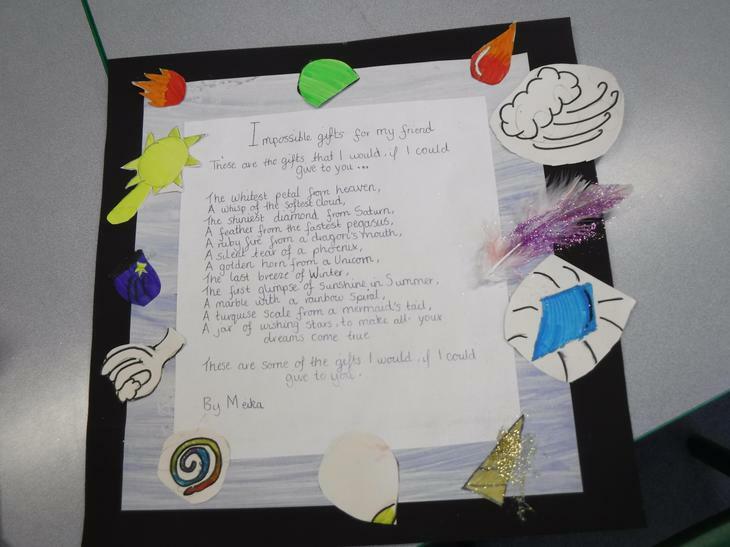 THE CHILDREN IN YEAR 6 CREATED LOTS OF DIFFERENT TYPES OF POETRY. 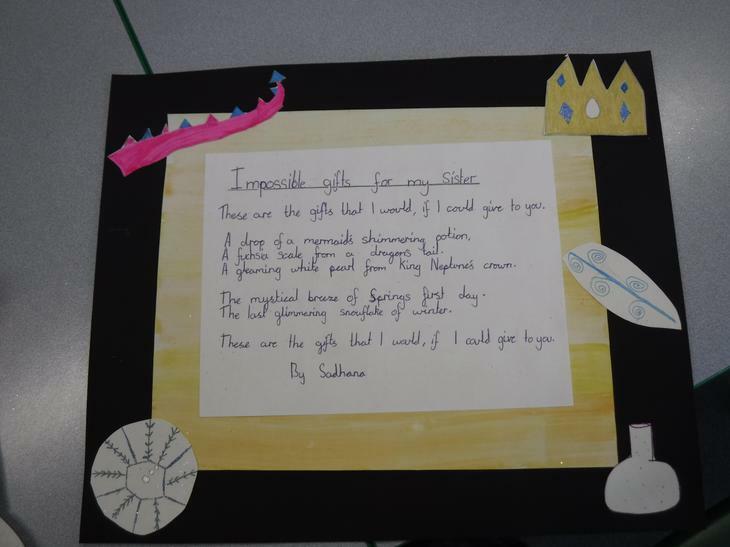 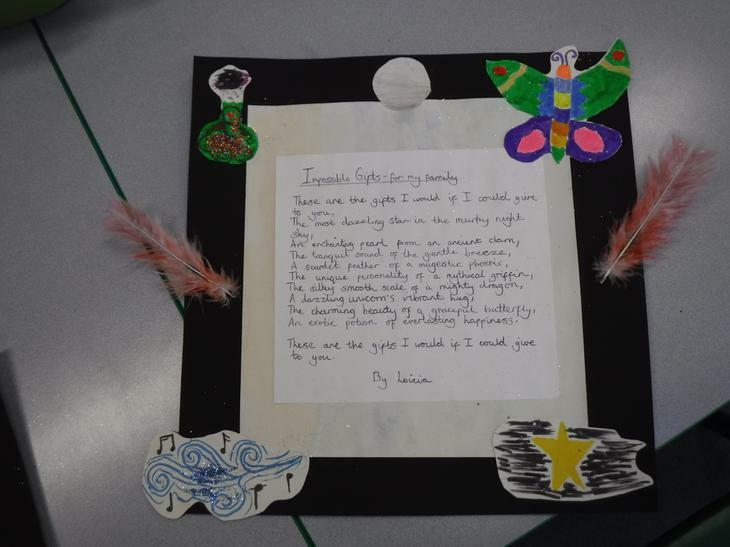 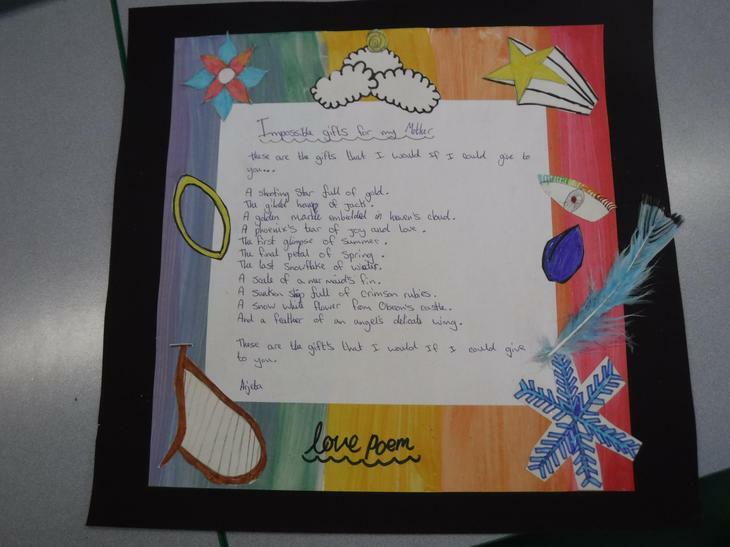 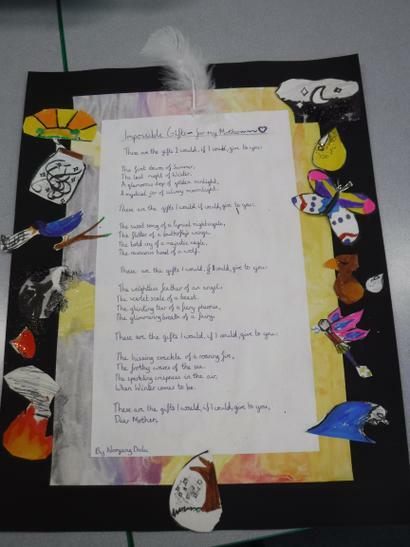 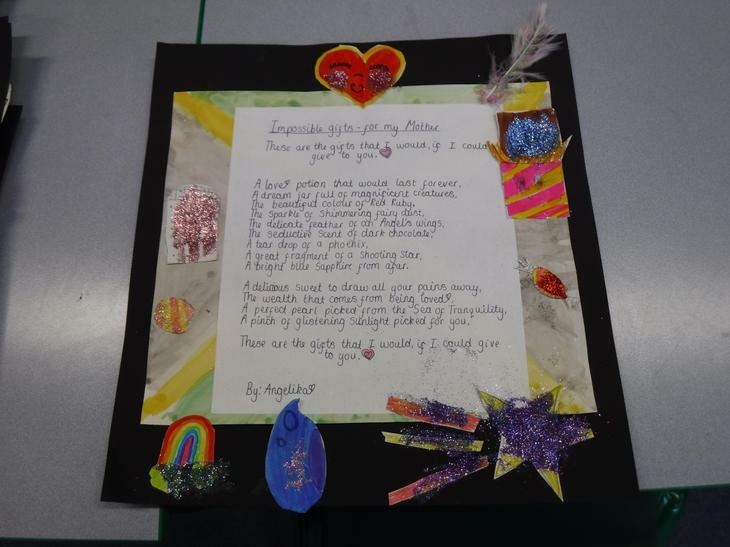 FOR THEIR FINAL PIECE THEY CHOSE 'IMPOSSIBLE GIFTS FOR SOMEONE...'. 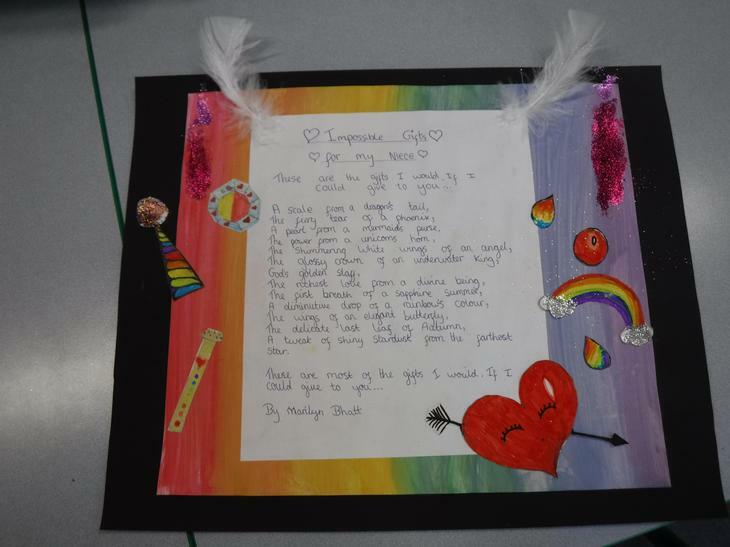 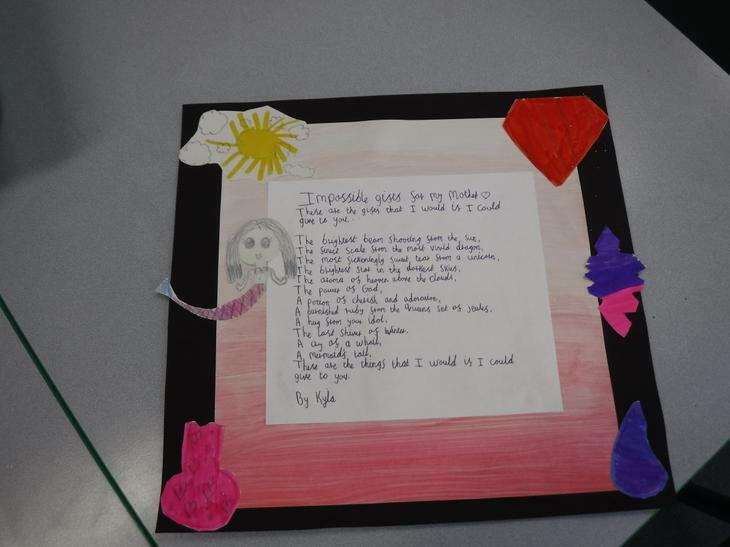 THE CHILDREN CREATED A POEM ABOUT SOMEONE THEY LOVED. 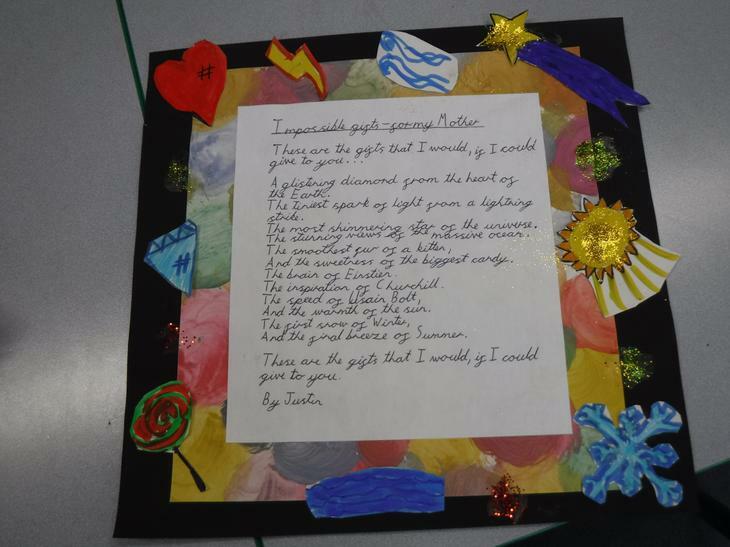 THE RESULTS WERE SPECTACULAR!